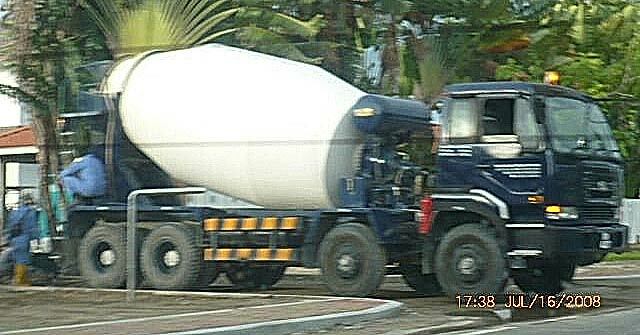 A 4-axle Nissan Diesel cement mixer operated by a readymix cement company in Belait District. The company just received 3 units of this 4-axle Nissan Diesel cement mixer somewhere last June. I will snap a better photo of it later.